Web AR is disrupting Digital Media: No App Needed! Earlier this year we were excited to launch Augmented Reality Digital Placements (ARDPs). 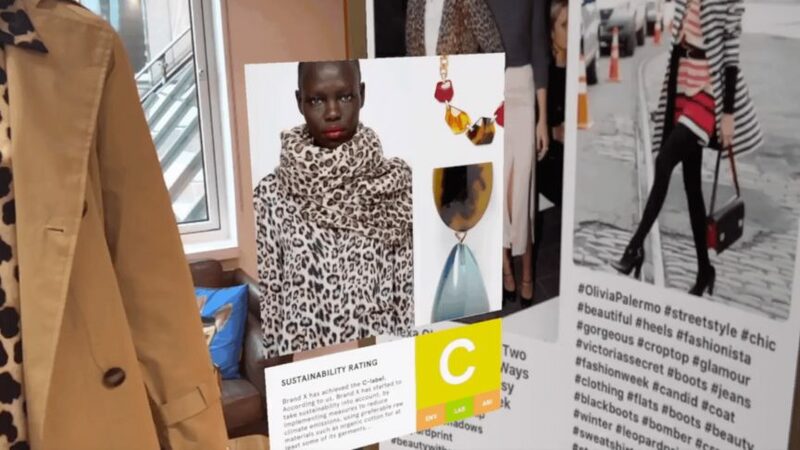 Exclusive to Blippar, this brand new ad format brings augmented reality to all kinds of web-based experiences -- from banner ads and emails, to microsites and social media links. The technology leverages a user’s smartphone or desktop camera to bring brand experiences to life in AR. 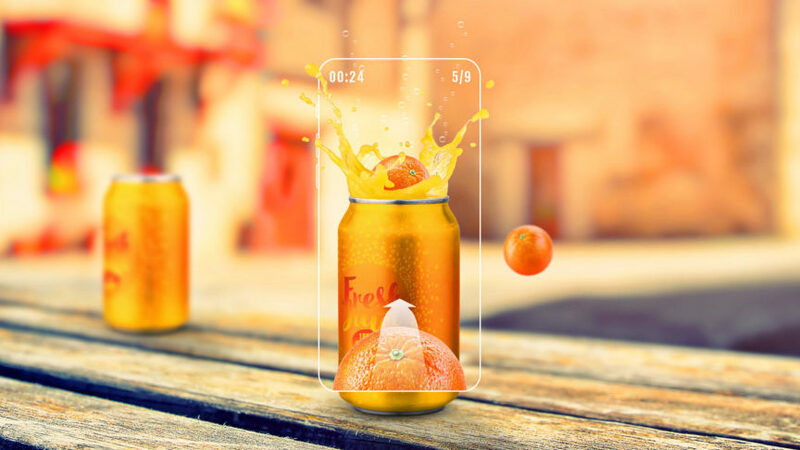 This enables consumers to interact directly with augmented reality from rich media ads without the need for a separate app or device. ARDPs can be run on inventory across desktop, Android, and now iOS -- thanks to the recent release of Apple’s ARKit. We have worked with the IAB (International Advertising Bureau) to set industry standards for this new ad format. This engaging format can be used to offer a range of different AR experiences, including 3D Animation, Product Visualisation, 3D Spaces, Facial Tracking and First-Person Games to showcase products and services for virtually any industry. And our preliminary data shows great results, with multiple the industry standard click through rate, and more than 5x industry standard dwell time. Read on to learn how ARDPs can upgrade your digital advertising campaigns. We can create 3D animations to engage users with your brand. These animations can showcase anything you could think of -- from sports team mascots coming to life, to the level of pollen content in the air. We can create a 3D animation experience that -- using animated pollen -- shows consumers the level of pollen content in the air in real time. This is a brilliant way of showcasing your allergy product to consumers -- not only is this an entertaining ARDP experience, it is informative and useful to consumers. A powerful way to use ARDPs is to visualize your product in 3D, directly in front of the user, no matter where they are. This is a hugely beneficial experience for consumers, enabling them explore products -- from handbags to cars -- as if they were viewing them in-person. Let consumers rotate, move and walk around your 3D product from the comfort of their own homes. This technology is particularly beneficial for showcasing cars. Let consumers explore the exterior of your car by walking around it -- using AR we can make the cars appear as if they were in consumers’ driveways. We can even show consumers the interior of the car using the smartphone’s gyroscope. 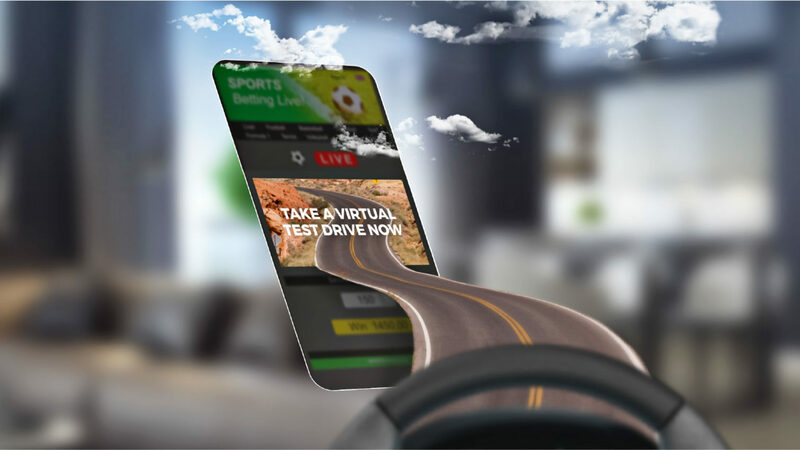 This immersive experience powerfully aids consumers’ decision making when considering their next car purchase. 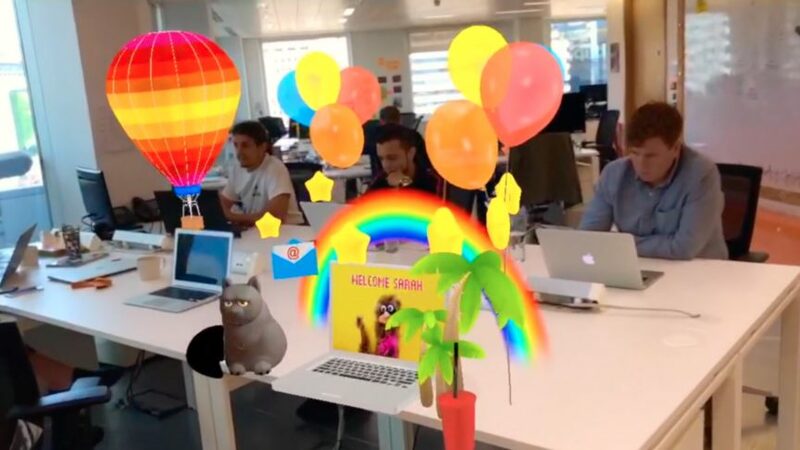 3D Spaces create incredibly engaging AR experiences. They use the phone’s gyroscope to let users explore every angle of a virtual setting -- be that the interior of a hotel room, a sports venue or a fictional film set. AR adds another layer to this experience with transparent elements that merge a user’s physicals surroundings with the 360° video. For instance you can see through the windows of a virtual car to the actual street you’re stood on. This technology is hugely beneficial for the travel industry. Let your potential customers explore your hotel or cruise ship in 360° -- encourage upgrades to premium rooms by illustrating the different features, even let them check out the view. This immersive experience powerfully aids consumers’ decision making when booking their next adventure. Facial tracking uses the front facing camera to add a realistic filter onto a user's face. This filter could transform them into a film character or let them see if those sunglasses suit them. This can help consumers commit to purchasing online and can create fun and engaging experiences. We can creative a fun, interactive try-on experience for your fashion accessories. Let consumers explore and try-on your range of sunglasses to see what suits them, and when they’re ready to make a purchase we can link them straight to your website. Augmented reality is a highly interactive format, and AR games are a brilliant way of engaging your audience -- be that a 2D or 3D gaming experience. Let consumers play with your brand in a unique way to drive awareness and consideration. We can launch a sophisticated, multi-level game experience straight from your ad -- perfect for engaging consumers with an upcoming film release. Immerse consumers in a first-person game experience for your film -- let them fight the enemies to save the world. Consumers can unlock more game levels by buying tickets. These are just some of the ways that ARDPs can create spectacular consumer experiences. Not only do ARDPs engage and entertain, they differentiate your campaign in a way that will make consumers take notice. Whether you’re an advertiser, brand, agency, or digital publisher, we can help you deliver highly relevant AR experiences at scale. Ready to create an unforgettable digital marketing campaign? Get in touch today.